It takes a lot of effort, and five to eight years of difficult studies, just to become a qualified pharmacist. When people finally graduate, they often face a big debt, and they can not get a job. How can it happen? Isn’t a pharmacy on every corner? While statistics show that the number of pharmacies has been growing in the last ten years, they also show that the pharmacy school graduates still outnumber the new job openings each year. 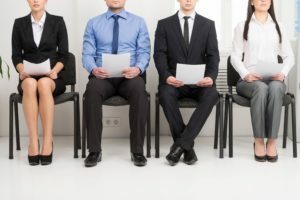 Recent statistics actually showed that retail stores and hospitals interviewed more than ten candidates for every single pharmacist job opening, in the monitored period. One job, ten candidates. Will it be YOU who gets the job? Welcome to PharmacistInterviewQuestions.com. My name is Anita Stosur, I have been working in recruitment for the past eleven years, and I will try to help you to prepare for your job interview, and to get a job of a pharmacist. Clean working environment, smart colleagues, and exceptional salary–these are the typical reasons why people decide to pursue career in pharmacy. Or they may just pursue the dreams of their parents, which is a sad case (but a common one). Your answer to this question helps us to understand your attitude to work and to pharmacy. I suggest you to speak about practical subjects. Emphasize that you enjoyed your practice, and that the experience has helped you to confirm your career choice. On the other hand, each of us struggled with a subject or two. Be honest, tell us that you struggled, but ensure the interviewers that you did your very best to eventually pass the exams, becasue you understood the importance of each single subject at pharmacy school. A pharmacist deals with all kinds of problems. Angry customers, a prescription they can not read, lack of medication, conflicts with colleagues. Show us that you see your job realistically, that you count with the difficulties, that you are ready to face them with smile and dignity. Pharmacists do not have to possess excellent leadership or management skills. They will do fine with average computer skills, and they do not have to be in an excellent physical condition. What I try to suggest is that every job is different, and what matters for one role is irrelevant (or at least not essential) for another one. Most pharmacists keep their job for many years (sometimes for a lifetime), but you can have different plans. Perhaps you want to open your own pharmacy in five years? Perhaps you plan to travel, or move to another part of the world? 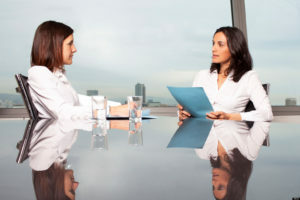 Regardless of your actual plans, you should always try to convince your interviewers that you will be happy to have the same job in five years time. Tell them that they can count with you in a long run. At the end of the day, pharmacy is a business. What is more, the competition is enormous, and you will find a pharmacy on every corner. A good pharmacist understands an importance of customer service, and they try to exceed (or at least meet) the expectations of every single customer. Your attitude matters, not the particular situation you narrate. First job? No big deal–you can talk about a situation from the college, a time when you did something exceptional for one of your schoolmates, teachers, friends. Another question that targets your customer service skills. Angry people, sad people, simple people who will not understand even the most basic instructions you provide–you will meet all of them in your job. They key is to talk about each customer with love, to show the interviewers that you will try your best to satisfy each customer, and that you count with the diversity this job presents. Accredited continuing education classes are mandatory, and you will not impress us with saying that you attend them (you can mention them though). Try to focus on something you do in your free time, for example reading journals, studying new drugs on the internet, talking with your colleagues, going to conferences, participating in forums for pharmacists. Show us that you like pharmacy, and that you do your best to stay on the top of the game. 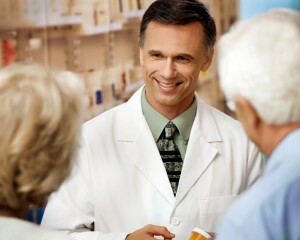 What characterize a great pharmacist from your point of view? Give an example of a time when you were overwhelmed with work. How did you handle the situation? Here is a case describing a common drug interaction. How would you resolve it? How would you spot drug seeking behavior? What would you do if you spotted it? How would you ensure that different treatments are compatible? What things do you need to assure yourself about before dispensing prescription medicines to a customer? Job of a pharmacist is not primarily a healthcare role (especially a job of a community pharmacist). It is a customer service position. You will meet people, you will talk to people, you will try to help people. We will observe a lot of things while interviewing you for a job. Do you smile? Do you talk to the point? Are you a good listener? Do you keep attention to detail? Do you have the right personality for a job of a pharmacist? Do you really want to work as a pharmacist, or do you apply just because you invested loads of time and money into this career? We observe (nearly) everything. You need to show motivation, and convince us that you strive to provide the best possible customer service in every moment. There really is a pharmacy on every corner. If clients are not perfectly satisfied with the behavior and professionalism of the employees in one pharmacy, they will simply go and spend their money in the next retail store…. Unless you demonstrate great customer service skills in an interview, we will not hire you. Sorry to tell you that, buy I want to be honest with you and tell you the truth of interviewing for this job. Some people believe it is impossible to get a job in a pharmacy without having a connection with one of the pharmacy managers. 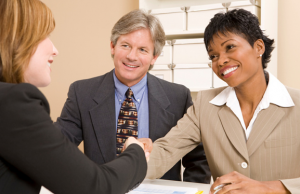 A good connection can certainly help you, especially if an opportunity to replace someone arises, and the manager calls you to come and talk, before they organize official interviews and advertise the offer. Polish your old address books, give a call to a few people (former classmates), and see whether they can hand you a helping hand. If they can help you, great for you! And if they can not, you can still succeed and get a job–you just need to prepare for your interview, and do it in a right way. Read the answers to the common questions, practice them (alone or with a friend), try to learn how to make a good impression on your interviewers, and try to get rid of stress. Many pharmacy graduates are unemployed, true. But many other get the job–and you can be one of them. I believe you will be one of them. For those who take their interview preparation seriously, I wrote an eBook called Pharmacist Interview Guide. If you want to see great answers to all difficult pharmacist interview questions, learn the winning interview strategies, and understand how to outclass other job applicants who will compete with you in an interview, please check the eBook here: Pharmacist Interview Guide.